The guarantee of successful shots is not necessarily the most expensive and cool camera or advanced auto mode, but the correctly adjusted settings, one of which is the exposure in photography. This article will cover its three main components of exposure: aperture, shutter speed and ISO. At first it might seem to be really difficult to understand, but the experience and practice will help to manage it. First of all the beginner photographer should know that the good shot needs ideal light balance. For this purpose cameras have a facility which adjusts the light stream called diaphragm. This lens construction element is responsible for the diameter of the slot which lets in the light falling onto the light-sensitive matrix. The diaphragm identifies as f:3.2 or f/3.2. If you change f on one value, you'll double the amount of light which is let through into the camera. These changes of f values are called F stops. 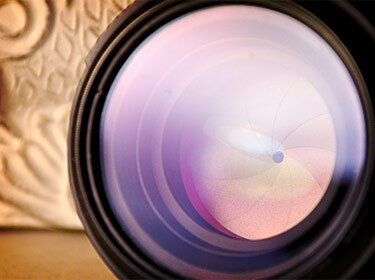 The idea of depth of field (DOF) is tightly connected with the diaphragm, which is called to mark visually the object out on the fuzzy blurred background. If you open the diaphragm maximally (e.g. f/1.4), then the DOF will be very small, and in order to enlarge it you need to close the diaphragm maximally. The next exposure component is the shutter speed. Shutter speed is a period of time for which the shutter is opened to let the light in onto the light-sensitive element (matrix or film). Sometimes the shutter speed is measured in seconds, sometimes in milliseconds. Its value is shown as 1/200, but in the camera it's stated only as the second number - 200. When the shutter speed is equal to a second or longer, then the value is shown as 2 or in other words - 2 seconds. The shorter is the shutter speed, the less is the light amount which is let onto the matrix and the darker is the photograph. The longer it is, the more light can be registered by the camera. Accordingly, the answer to the question how should the shutter speed be set is defined by the lighting conditions. If the scene is dark (you shoot in the evening or at night) the photographer needs a longer shutter seed (longer than one second). If you shoot at a bright day, the shutter speed should be short, e.g. 1/250 seconds. Below you can see the examples of different shutter speed while shooting movements. Advice: use a tripod to receive sharp shots.With the shutter speed of 1/60 and less you can shoot from your hands, but starting from 1/50 and longer you'd better use a tripod or fix your camera by any other mean. By definition ISO is an indicator of the level of photomaterial (matrix or film) sensitivity to the amount of light which comes to it. That is, the bigger ISO value is, the more sensitive is the matrix and, therefore, one can shoot less lighted objects. Why ISO? Because it is measured in special units according to ISO standards (International Organization for Standartization) Modern digital cameras received the capacity to change the sensitivity of their matrix. At the dim light it will save you, the shot will be light enough. But don't overuse ISO under all conditions, as while zooming the picture in, you'll notice some unpleasant noise (see photos for example). The recommended ISO value without the quality loss (that is, without noise) is ISO 400 and lower. In the table below you can find some variants of exposure settings under different weather conditions. Hopefully, you liked the lesson and you managed to learn something new and useful to make your shots even more beautiful and interesting! Follow new lessons on our site and get the new knowledge and improve your skills! Good luck and great shots!